Arslan is the prince of Pars, but is frequently misinterpreted by those around him as being a weakling, because of his effete appearance, naivete, compassion, and optimism. 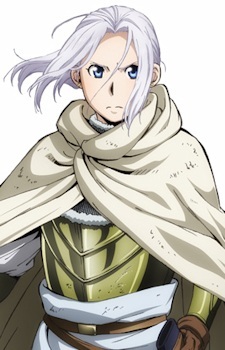 While these are true to a point, Arslan is also philosophical, intelligent, and charismatic, able to rally even the most apathetic of people to his cause. He is dedicated to his friends, especially Daryun, at one time threatening to kill an ally who had got Daryun into a particularly nasty situation.